It is so weird to say I have a teenager!! She is so wonderful… responsible, caring, loving… I could go on. The challenges of a teen are many. There are decisions around every bend. 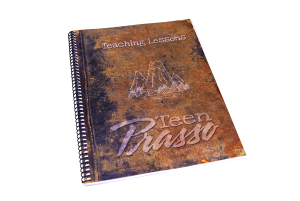 Prasso Ministries has a teen Bible study that aims to make those decisions a bit easier for them with the Teen Prasso Teacher’s Manual and Teen Prasso Homework Manual. My teen and I were sent complimentary copies of these books so we could work through them and tell you all about it! First of all, and I know this is a little thing, but I love the font in the student journal!! Maybe I’m a bit weird that I even pay attention to these things, but I think a good font can make a huge difference in a book! Especially a book aimed at teens. The word “Prasso” is a Greek word meaning to practice, to form a routine, or to perform repeatedly or habitually. I think that is the perfect name for a Bible study. We need to help to form a routine in our children. A routine of turning to God when the face hard decisions. The student workbook is meant to be used daily. It has 6 “days” worth of lessons each week. Of course, as with any program, you can choose not to do all those days if you want this to be more of a “school” type book that you only do during school days. The teacher’s manual is meant to be used once per week, on the first day of study. In the teacher’s manual, there is a story that you read from each week about a couple of boys, whom are brothers, that set out on an adventure. Along the way, they are learning about their own faith, as well. 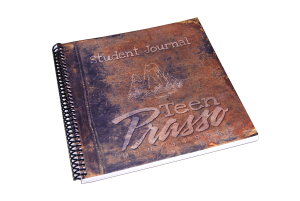 Using the student journal, students will answer questions that help them to navigate their own faith journey. The picture above is an example of a couple of the pages. I didn’t take a picture of one that my daughter had already filled out, because I know she would be mortified. I hope you understand. At the end of each week, there are a set of questions you can use for a group. There are lines for them to answer the questions individually, too, but if you are with a group you can also answer them verbally. This is really the way Teen Prasso is meant to be used and I would love to use this as a group teen Bible study! They have contact information on their website so they can help you set up a Teen Prasso Bible study group. When you learn things like this in a group and there are discussions going on, I feel like the information just sinks in that much better. Plus another teen might say something that your teen never thought of and that can help your teen (and the others in the room) understand that topic a little bit better. I think this is a great bible study!! I love the way the student manual AND teacher’s manual are organized. I also love that even though this is meant to be used for a group, it is easily adaptable for individual use. The student journal has some really great questions for teens to ponder. And the teacher’s manual is laid out in a way that is easy to follow. So… each to use books and your teen learns more about the Bible, God, and themselves. That’s a win!! What is it? A teen bible study program by Prasso Ministries. For whom? The teens in your life!! How much is it? The student journal is $15 and the teacher’s manual is $35.